Your wedding day is one of the most special days of your life. Such a momentous occasion deserves a very special wedding car service. Dreams Luxury Cars offer a guaranteed level of service for all wedding occasions. The BMW is a breathtaking wedding car. It is perfect for luxury weddings. 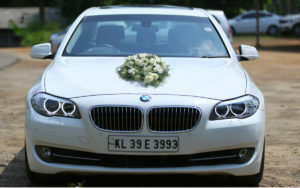 This is a stylish wedding car from BMW. A BMW is sleek, stylish and very comfortable. If the Groom and some of the wedding party would like a wedding car for them this car would be perfect. This would allow them to travel in comfort and style. Class leading elegance and style will ensure an affordable grand entrance on your special day. Our Luxury wedding car services have years of experience in the industry. 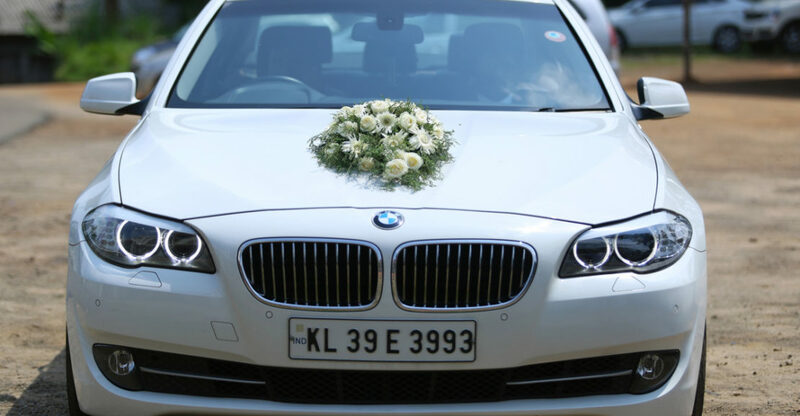 Driven by trained persons we offer a luxurious range of wedding car hire in Kerala. So no matter how unusual your request may be, we offer the best service to make your wedding day perfect.